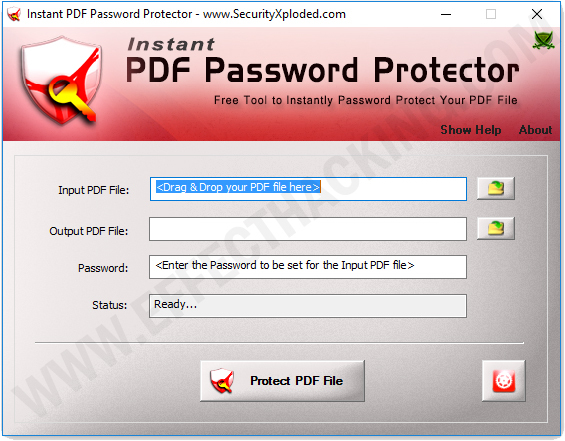 Instant PDF Password Protector is a free program that allows you to password protect PDF files. It also allows you to set restrictions to prevent Printing, Copying or Modification of a PDF file. In addition to that, you can also set a "permission password" to stop anyone from removing those restrictions. It supports all the standard Encryption methods (40-bit RC4, 128-bit RC4, 256-bit AES). 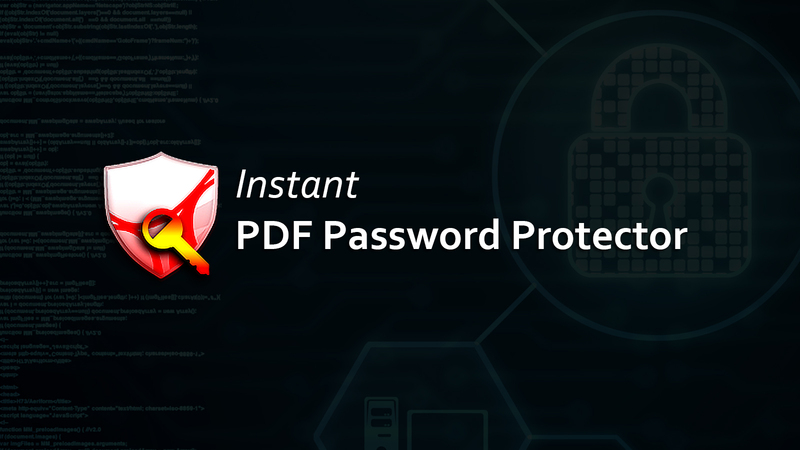 Instant PDF Password Protector works on both 32-bit & 64-bit platforms starting from Windows XP to Windows 10. First, download the Instant PDF Password Protector (InstantPDFPasswordProtector.zip) onto your computer. Then extract the ZIP file. Then run Setup_InstantPDFPasswordProtector.exe and install the program. After the installation, launch the program (run as administrator), you will see a window as shown below. Note: If it is showing a dialog box that says "Error: Failed to initialize PDF engine components. Make sure you have write permission to installed location of the application", that is because you executed the program without administrator privileges. If you just want to password protect the PDF file, all you have to do is, select the PDF file, enter the password and click on the "Protect PDF File" button. If you want more than that, you have to click on the wheel icon at the bottom-right side of the window. This will open the Advanced Settings window. Configure it according to your needs, and then click on the "Save" button. Then go to the main window and click on the "Protect PDF File" button.